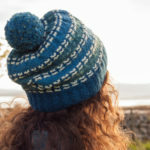 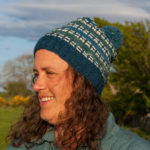 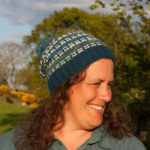 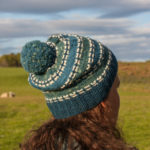 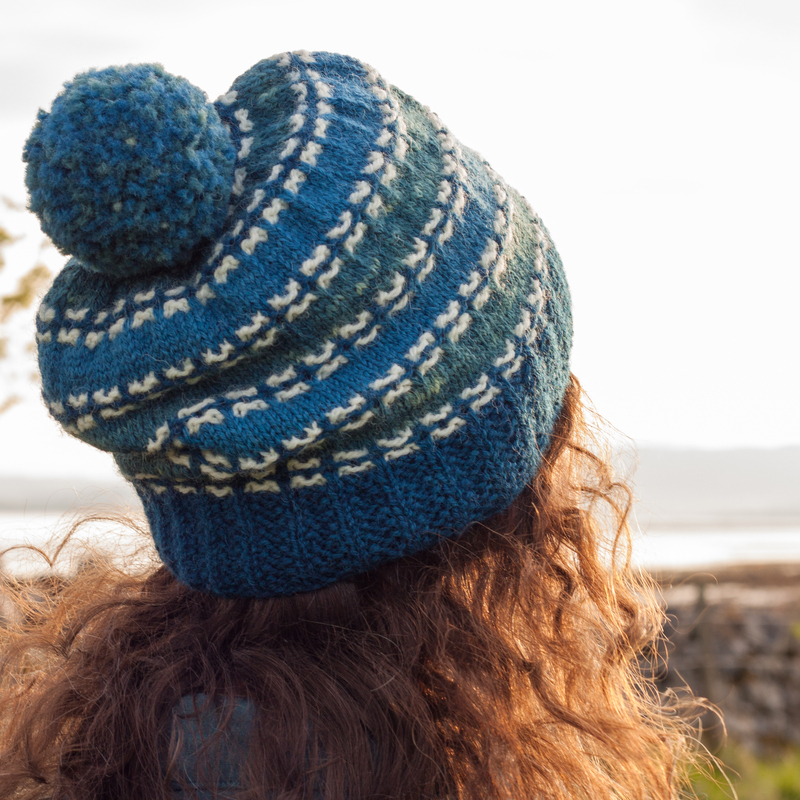 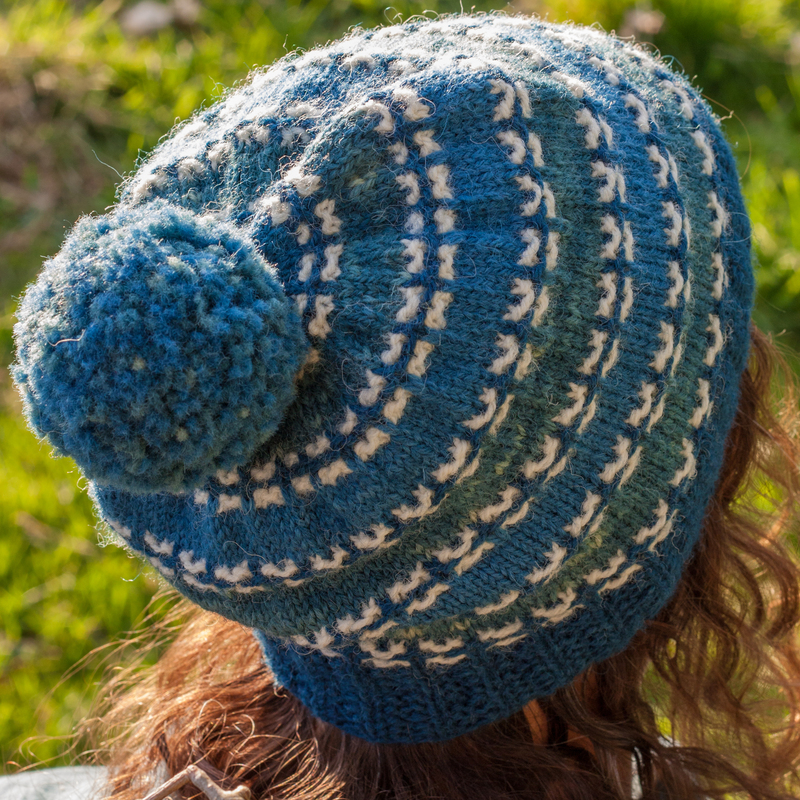 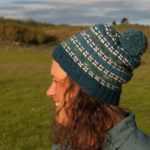 Rhidorroch is a gently slouchy hat, topped by a generous pom pom. 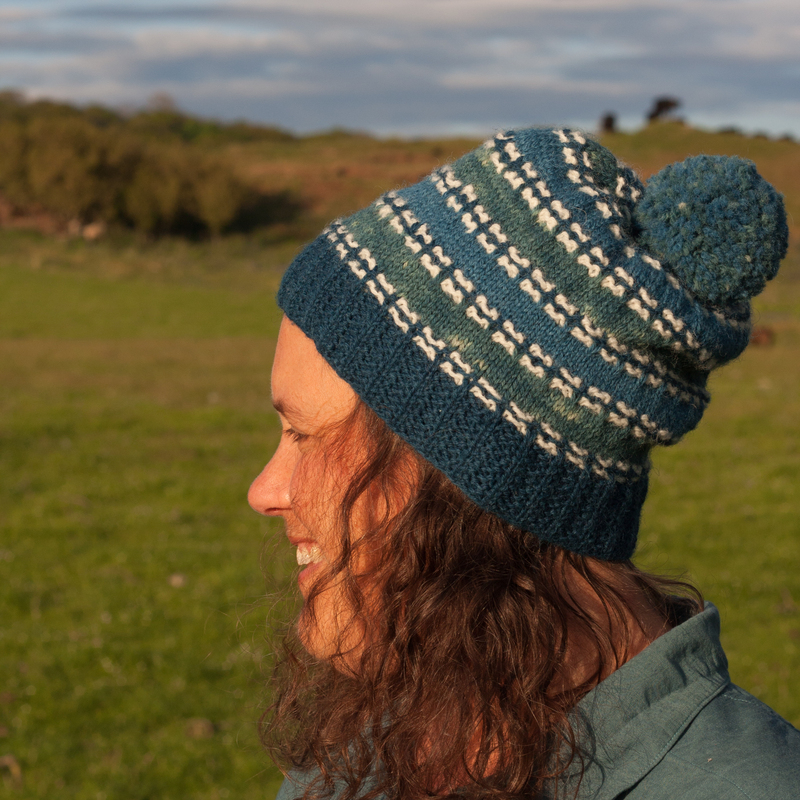 It uses a slip stitch pattern in textured stripes to highlight the beautiful colours of the naturally dyed yarn. 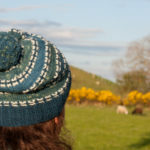 The sheep from this flock spend the winter near Inverness, at Coulmore, but the hat is named after their summer home on the west coast of Scotland. 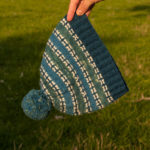 The hat is shown with 1.5 cm / 0.5 in negative ease. 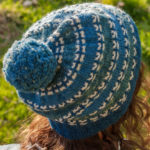 The pattern requires DK weight yarn in four colours. 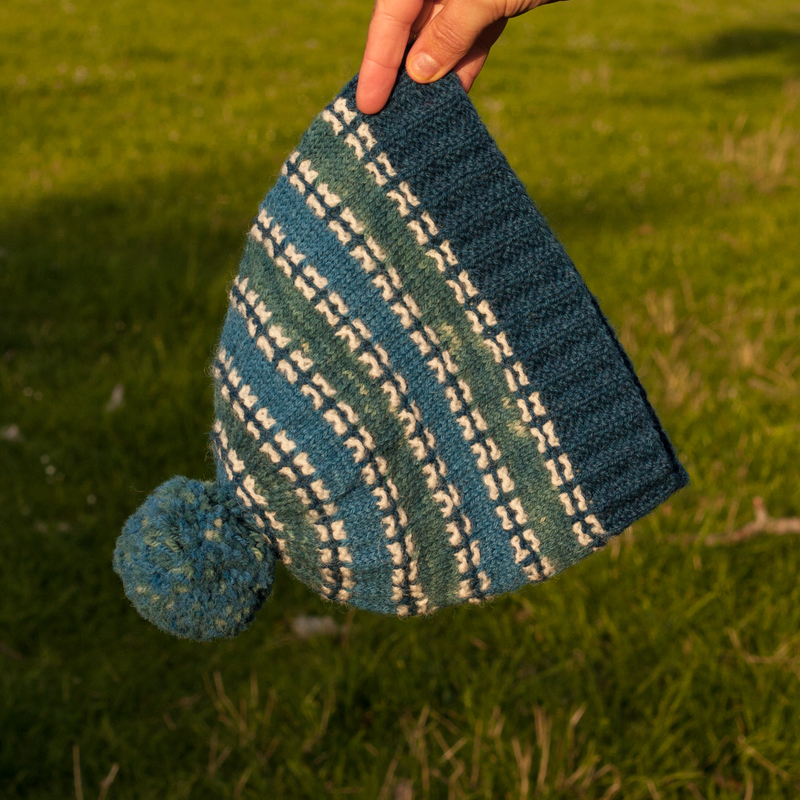 It is recommended to chose a lofty woollenspun yarn with a high wool content. Blackisle Yarn Rhidorroch Kit, Coulmore DK, 100% Wool, 220 m / 241 yds per 100g skein. 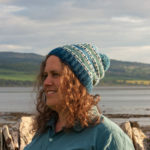 MC: Dark Indigo, 66 m / 72 yds per 30g skein.